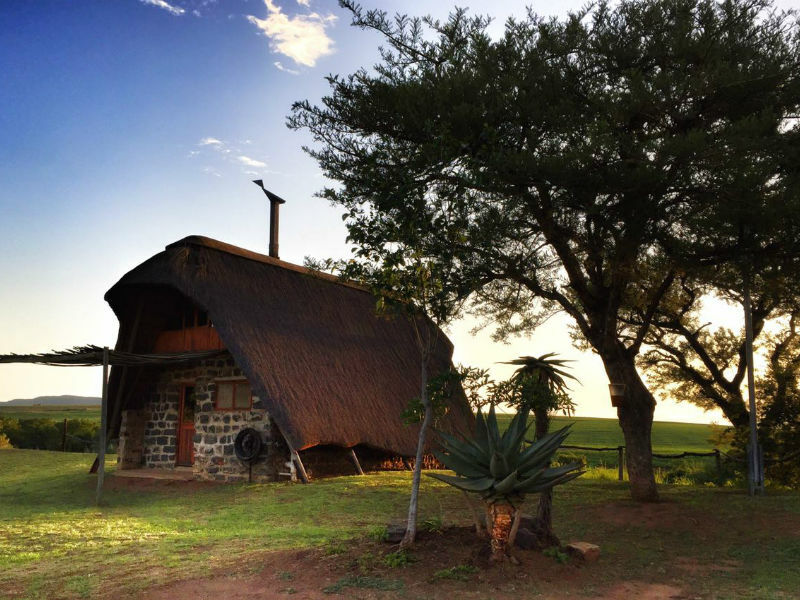 In the shadow of the famous Anglo-Boer Battlefield of Spionkop, the rustic and pet friendly accommodation is the ideal place for a family weekend, or a large group get together. We have a total of 34 beds in stand alone thatch cottages, that can be booked either as the Lodge – an 18 bed set up, or the Hideaway – a 6 sleeper or the Homestead – 10 sleeper. 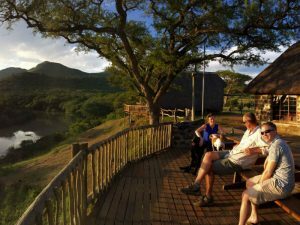 The nearby Battle of Spionkop, the Spionkop Game Reserve and the Central Berg will ensure that you have lots to do. 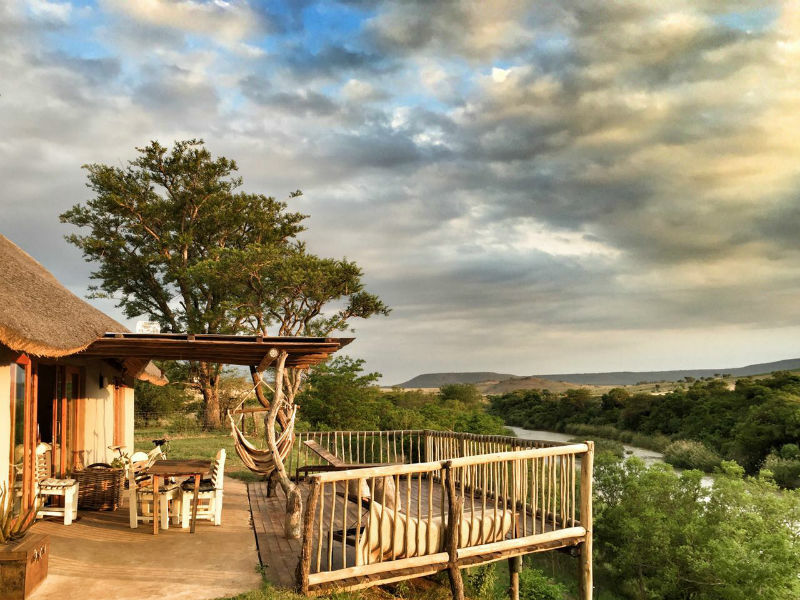 On site you have free fishing and canoes on the river, and there are numerous hiking paths and Trail running/MTB trails on the game farm on request. Spoen Green and her family are your hosts. They lodge has been in the family for 20 years. They have a passion for mountain biking and trail running. An annual well-known mountain bike race and trail run take place in the area. So pack up everyone, including the kids and granny and grandpa, and the mutts, and head out to Tugela River Lodge!